All you need is to place widget .zip files to “widgets” subfolder located in the same folder where application is saved. The application will automatically scan all folders and files within “widgets” subfolder and list only Samsung widgets with their icons and descriptions. You can then decide which one you want to install to your TV by selecting them using checkboxes. After you have selected which apps you want to install, you need to login with “develop” account to your TV and enter development menu. There you need to change IP address to the IP address displayed in the application (it’s actually your PC LAN IP address). Then you select option to sync and that’s all ! You might need to exit Smart Hub and enter again to see new apps. To install your custom widgets, you have to run a http server on your local network. 3. In the main installation folder, locate and run xampp-control.exe. 4. Press the Start button next to the name Apache. Should show up next to the inscription Running. You can also install a few widgets by adding a given file more entries between the marker and <list> </ list> (as shown on example). Use “develop” as login name (NOT e-mail address!). 3. and then Create an account. 2. Unpack the archive to a directory located in the htdocs directory XAMPP program. 3. Using a text editor open the file widgetlist.xml and change the IP address on the local IP address of your computer. 6. 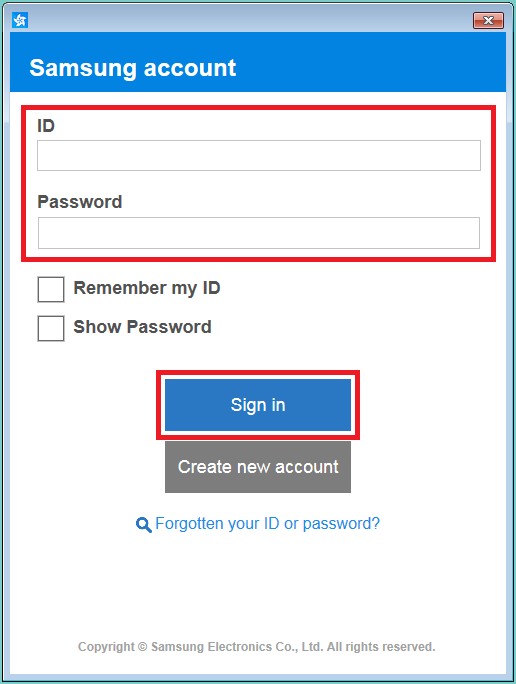 Select an account develop and enter the password. 8. Choose a new developer options, and then setup the IP Address. 11. Wait until the installation is complete and the message “Service installed.” – Press Enter. 12. The new widget should appear in the list (check the BLUE button). 13. We can log out of your account (RED button). If you have an external IP for widget synchronization (eg for NetPlayer), you can enter it in step 9. WARNING! If when you try to install nothing happens, or TV to restart – try turning off your computer firewall (Firewall). connect the cable and run it again. Login to the develop account (Menu—>smart features—>Samsung Account—>Login (credentials are user name: develop; password: sso1029dev!)). On the smart hub screen there is a ‘MORE APPS’ tab at the BOTTOM, click that. Select OPTIONS, on the TOP RIGHT corner of screen that comes up. Select APP SYNC from the drop down list. Now go to SmartHub, select any of existing apps (with OK RC button) and keep holding OK until new menu comes (~5sec). Number keypad gets open up -> Enter 12345 from it and then done. A popup asking for IP gets open up. Enter IP address of your system (using the same procedure – clicking on 123 from remote). 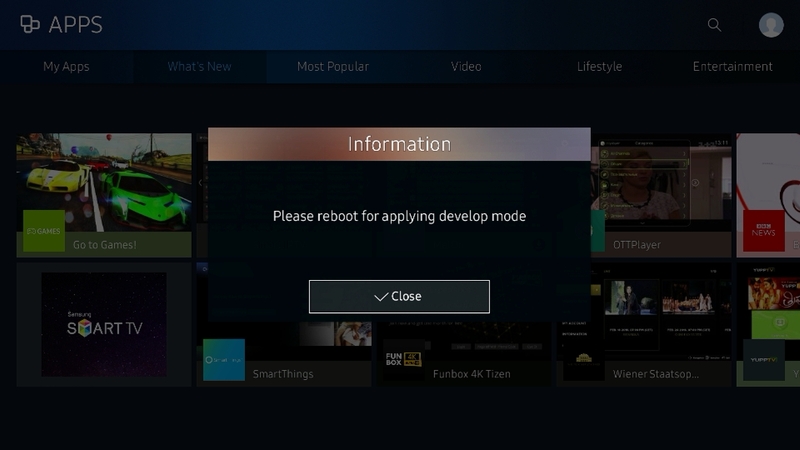 After reboot, Developer mode will be on TV screen in red. Now, connect with the IP (TV IP) in your IDE and execute your build. Connect your computer and the TV to the same network. a. On the TV, open the “Smart Hub”. b. Select the “Apps” panel. c. In the “Apps” panel, enter “12345” using the remote control or the on-screen number keypad. 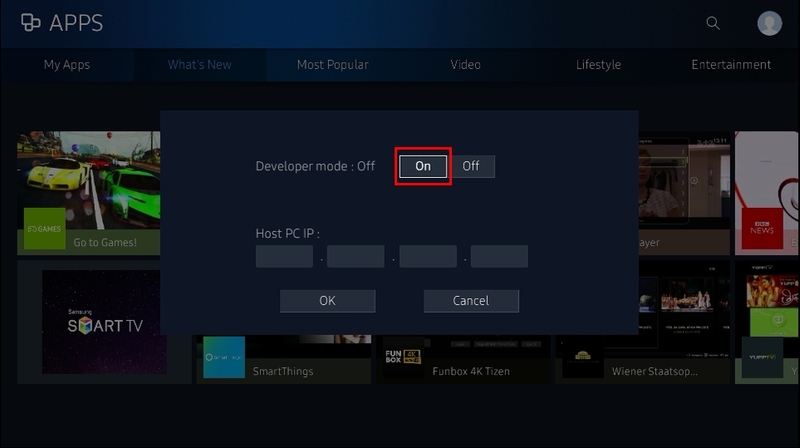 The developer mode configuration popup appears. d. Switch “Developer mode” to “On”. e. Enter the IP address of the computer that you want to connect to the TV, and click “OK”. When you open the “Apps” panel after the reboot, “Developer Mode” is marked at the top of the screen. 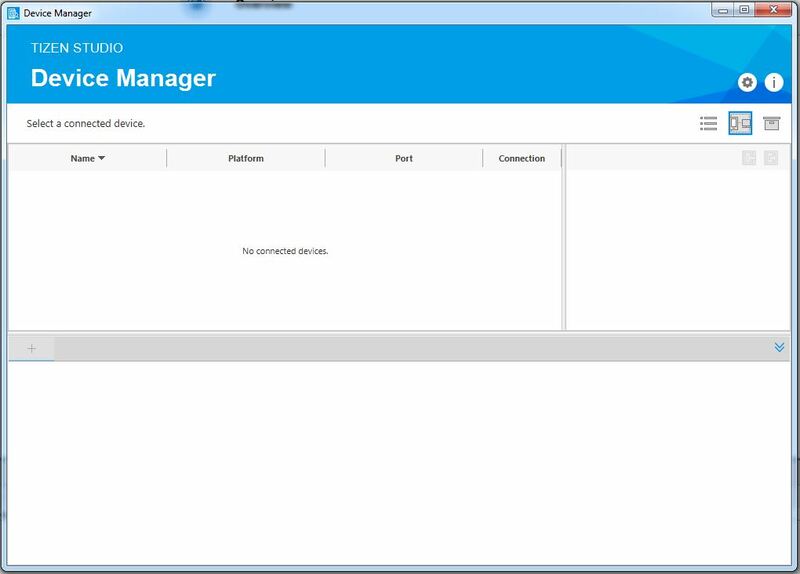 a. Click “Tools > Device Manager”. b. 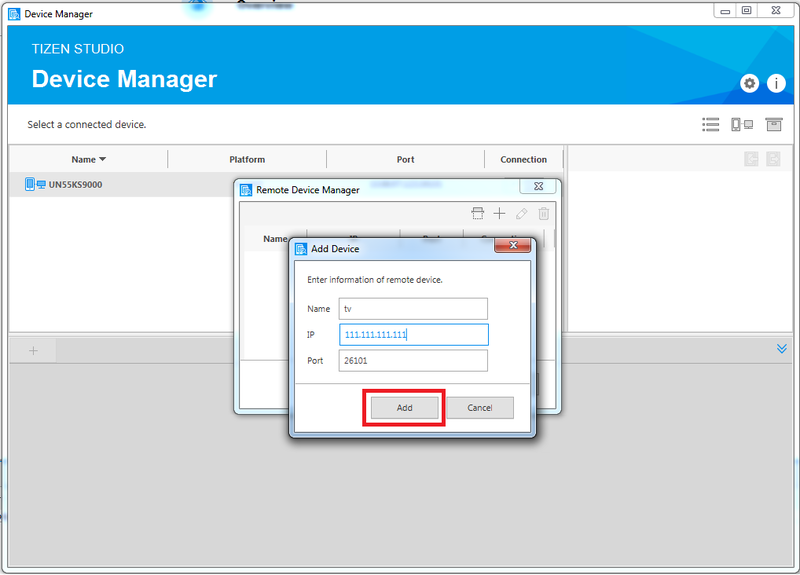 To add a TV, click “Remote Device Manager” and “+”. c. In “Add Device” popup, define the information for the TV that you want to connect to such as name, IP address and port number, and click “Add”. d. Select the TV from the list, and switch on “Connection”. 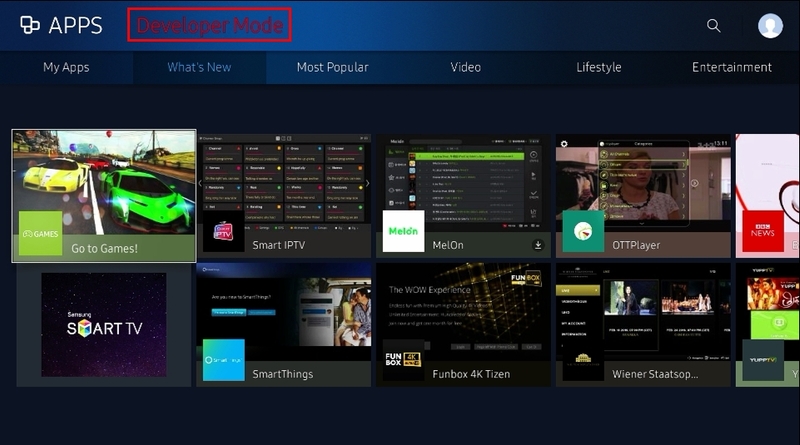 Now you can launch applications on the TV directly from the Tizen Studio. “Tizen Web Application”: Run the application on the connected device. 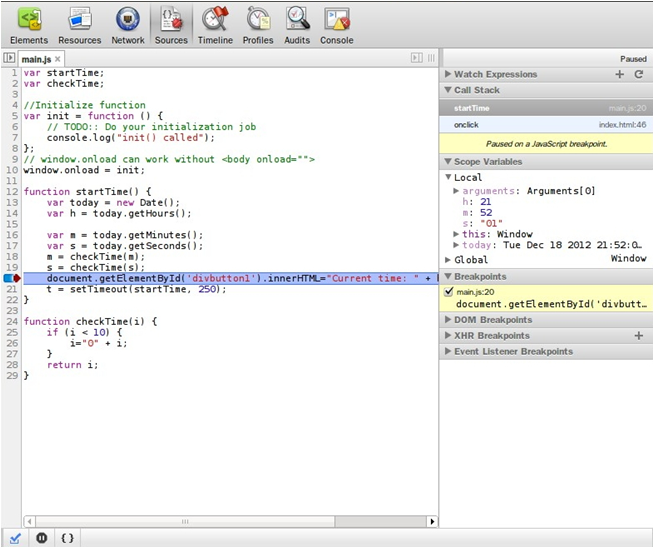 “Tizen Web Unit Test Application”: Run the application with unit tests. To launch the application in debug mode, right-click the project in the “Project Explorer” view, and select “Debug As > Tizen Web Application”. The application cannot be uninstalled through the IDE due to internal device problems. Uninstall the application from the “Apps” panel on the TV. Application installation can fail for many reasons. A problem with the signing certificates is a common reason. Check your certificates and try again. The application cannot be launched through the IDE due to internal device problems. Try to run the application again, or reboot the device. These error messages occur if you are using older versions of the device firmware or SDK. Make sure you are using the newest firmware and SDK versions. This message occurs only on 2015 devices, and has no effect on running the application. You can ignore the message. Update your Java Development Kit installation. When I install a newer version of an application on the TV, is the previous version overwritten or uninstalled? The previous version of the application will uninstall automatically when you install the new version. Can applications or widgets be installed on the TV through USB? For security reasons, installing applications or widgets through USB is no longer supported. Why do some applications run perfectly on Web Simulator but fail to run on the TV or the emulator? The Web engine of the Web simulator is different than that of the TV and the emulator. Therefore, application behavior can vary between Web simulator, TV, and emulator. Make sure you perform the final testing of your application on the emulator and TV. 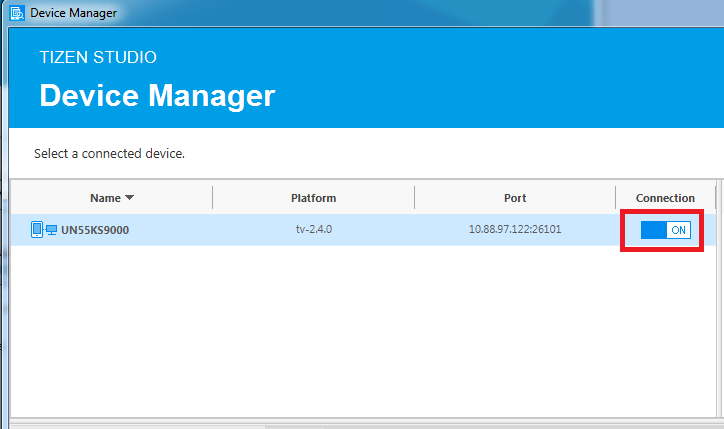 How do I open port 26101? Port 26101 is an internal device port. It cannot be opened separately. All applications must be signed with valid certificates before they can be installed or run. 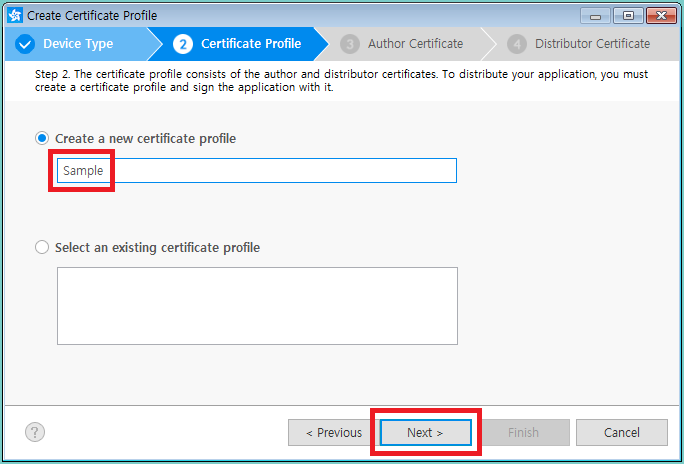 This topic describes how to create a certificate profile you can use to sign your applications. 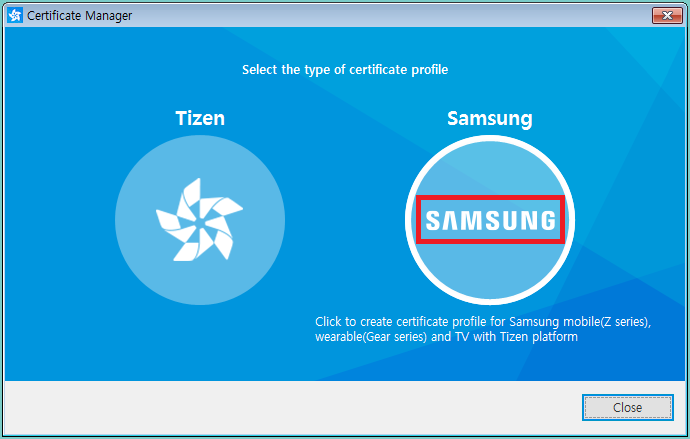 According to the Tizen policy, all applications must be signed with valid certificates before they can be installed or run. The signature verifies the source of the application and makes sure it has not been tampered with since its publication. 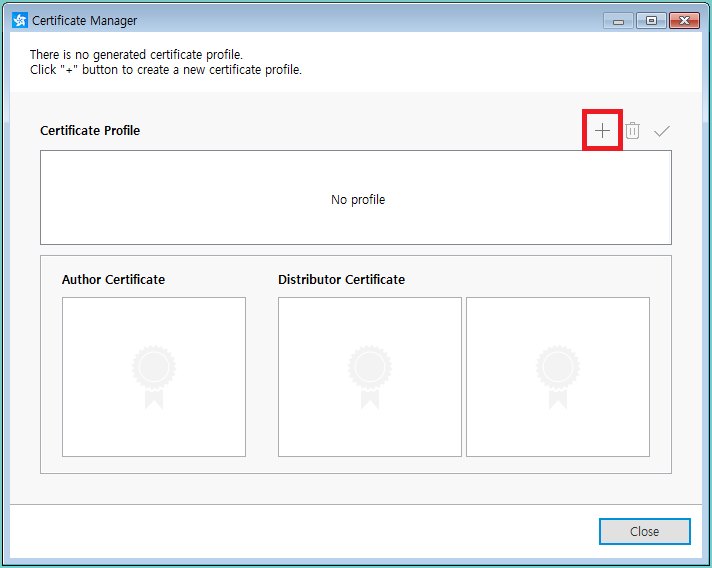 A certificate profile is a combination of the certificates used for signing, and it can be created using the Certificate Manager. 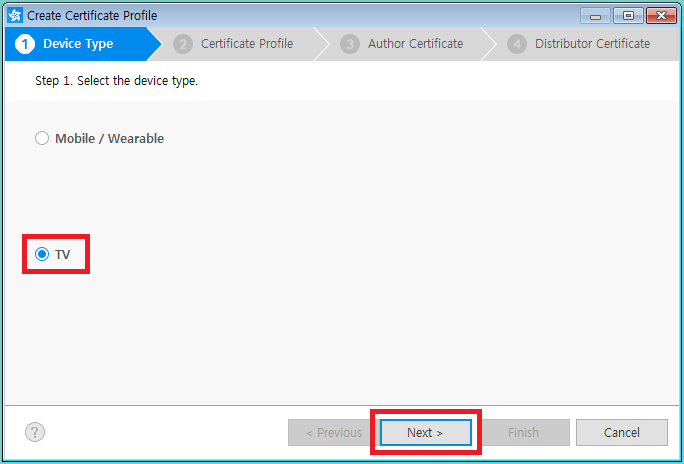 The active certificate profile is used when packaging your application. For more information, see Installing Samsung TV SDK. A certificate profile consists of an author certificate and 1 or more distributor certificates. 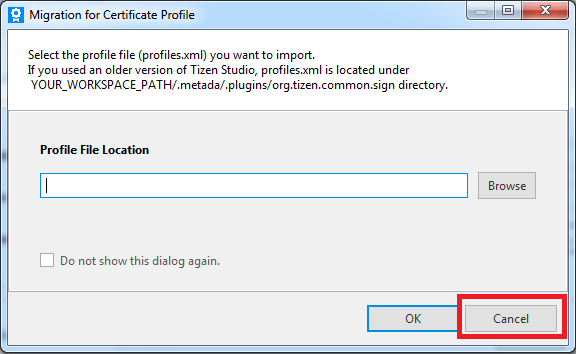 In the Tizen Studio menu, select “Tools > Certificate Manager”. 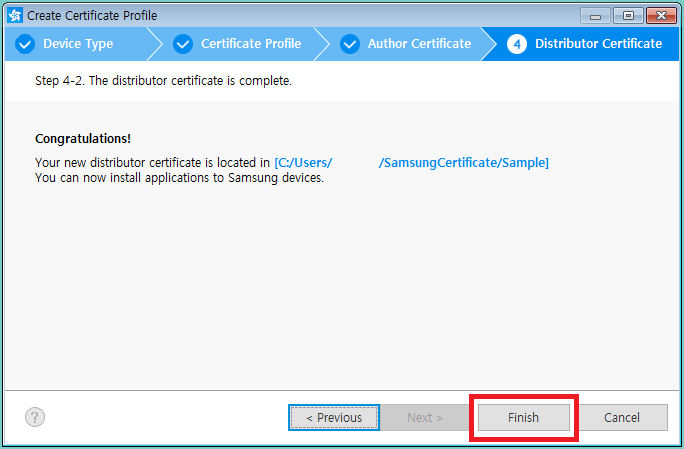 ImportantUI of Certificate Manager may freeze in one of the following steps when Tizen Studio and Certificate Manager run at the same time . To avoid this issue, close Tizen Studio window just after launching the Certificate Manager. This is a known issue and it will be fixed in Tizen Studio 2.1. Click “Cancel” on “Migration for Certificate Profile” dialog. Select “TV”, and click “Next”. Enter a name for the certificate profile, and click “Next”. a. 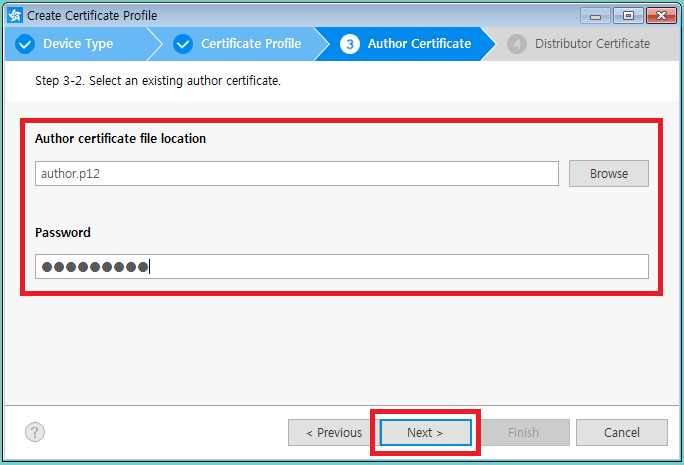 Select “Create a new author certificate” and click “Next”. b. Enter the required information, and click “Next”. c. Sign in with your Samsung Developer account. 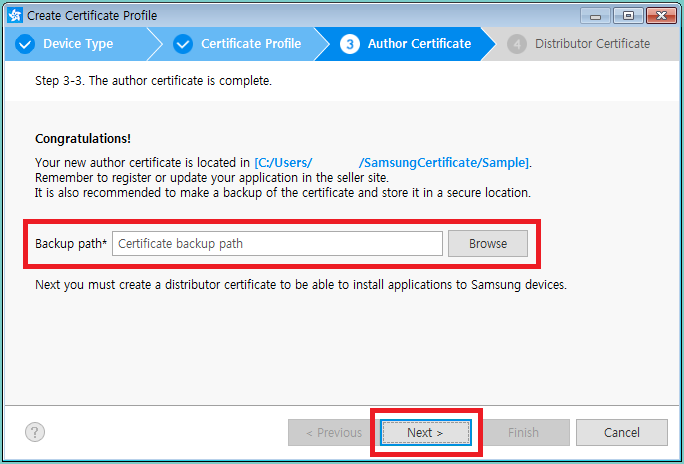 d. Define a backup path for your certificate file, and click “Next”. ImportantKeep your certificates backed up in a safe location. 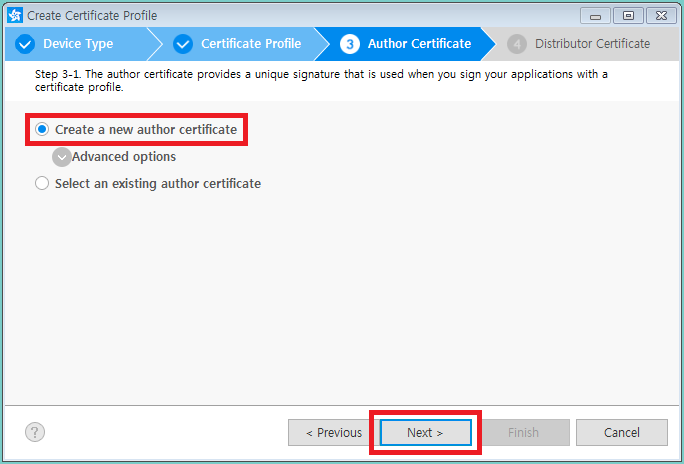 When you update your published applications, the update must be signed with the same author certificate as the original application. 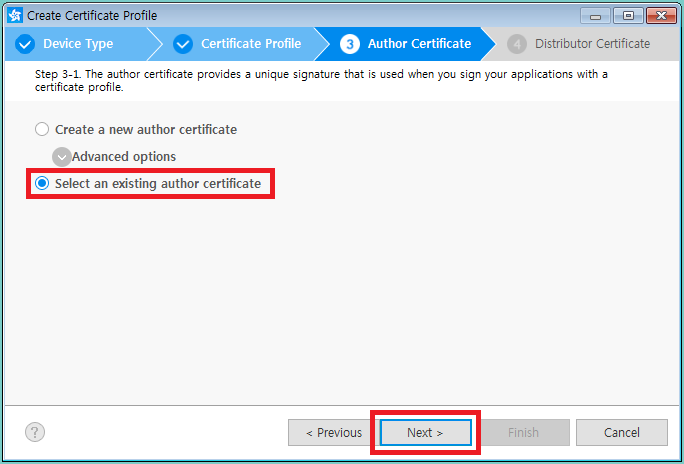 If the applications are signed with different author certificates, the update can be recognized as a different application and not an update. If you already have an author certificate (“author.p12” file), you can import it. a. 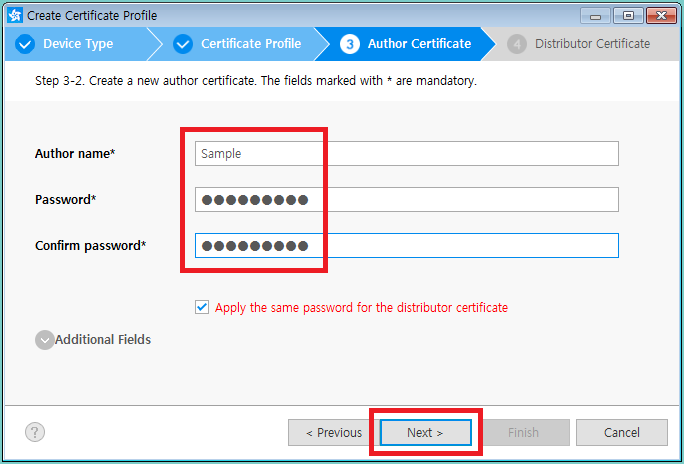 Select “Select an existing author certificate”, and click “Next”. b. Define the existing certificate, and click “Next”. a. 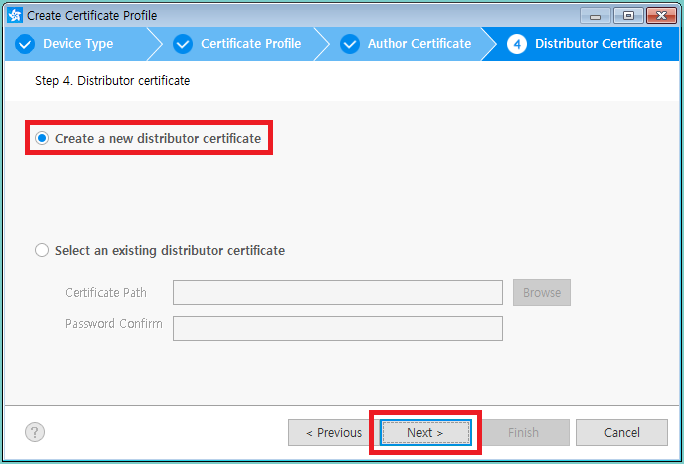 Select “Create a new distributor certificate” and click “Next”. b. 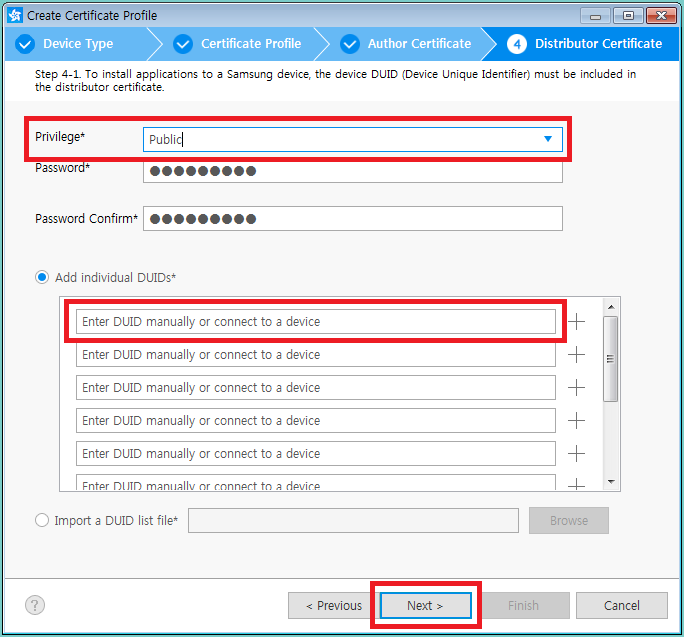 Define the privilege level you need, and add the device ID (DUID) for the target device. You can enter the DUID manually, or by clicking “+” next to the connected device in the list. NoteTo view the device ID, on your TV, go to “Menu > Support > Contact Samsung > Unique Device ID”. To close the certificate profile creation wizard, click “Finish”. 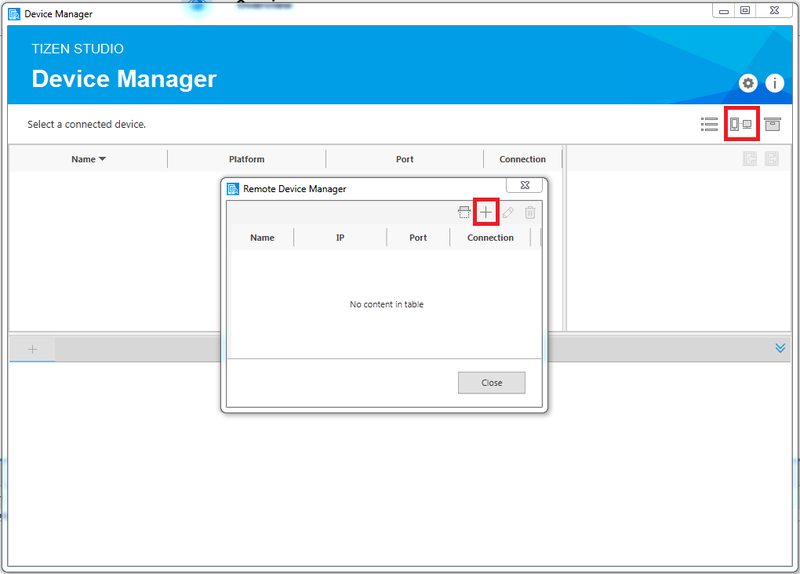 To allow installing your applications on the device, launch the Tizen Studio “Device Manager”, right-click on a folder of the connected device filesystem and select “Permit to install applications” in the context menu.